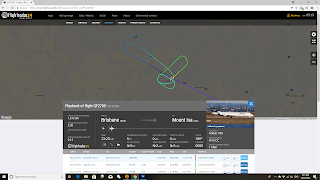 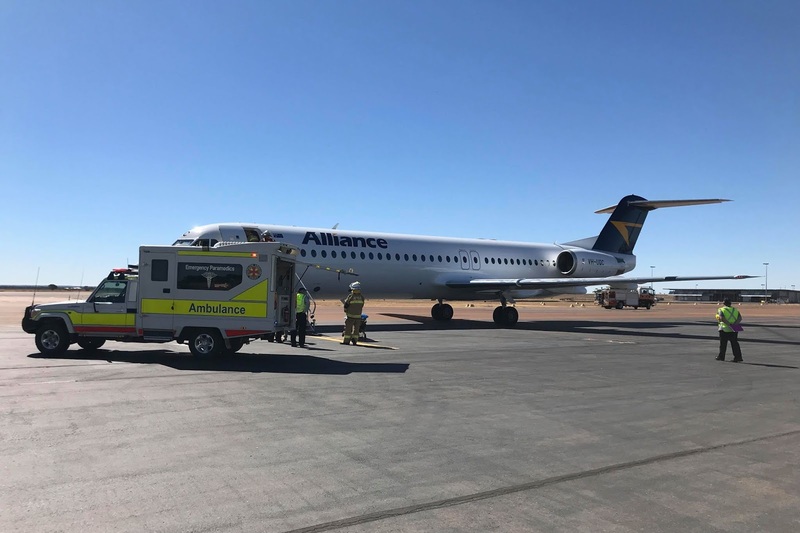 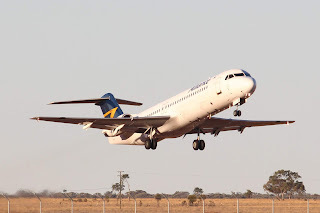 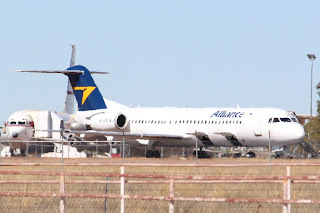 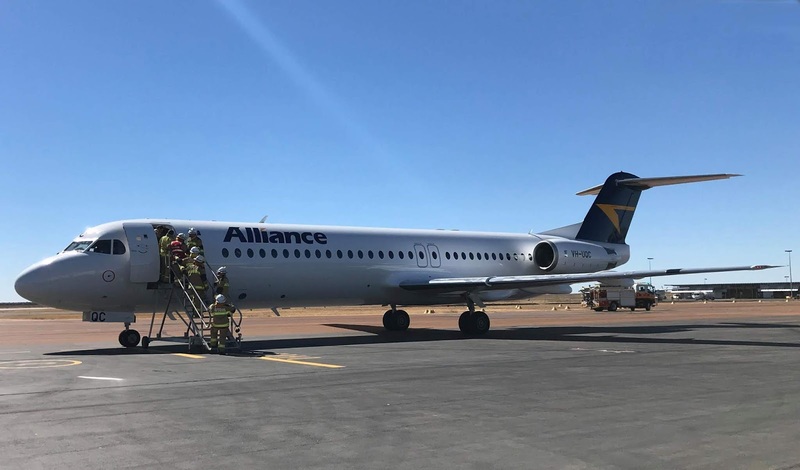 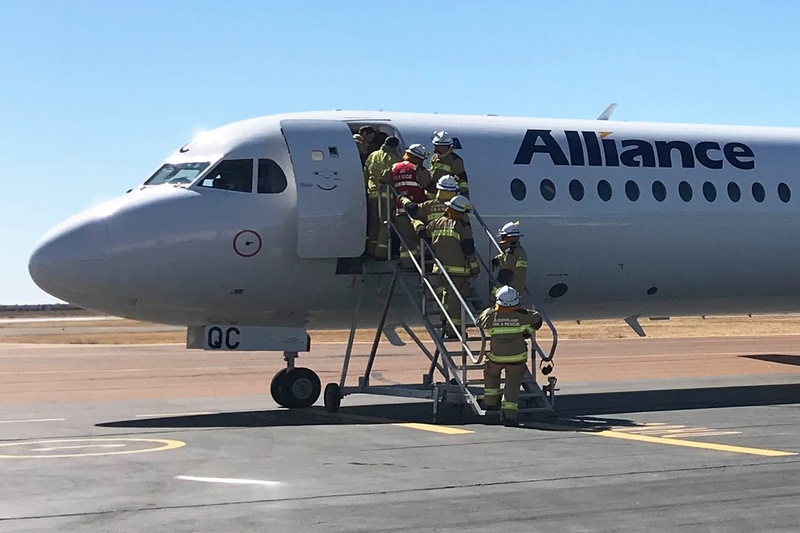 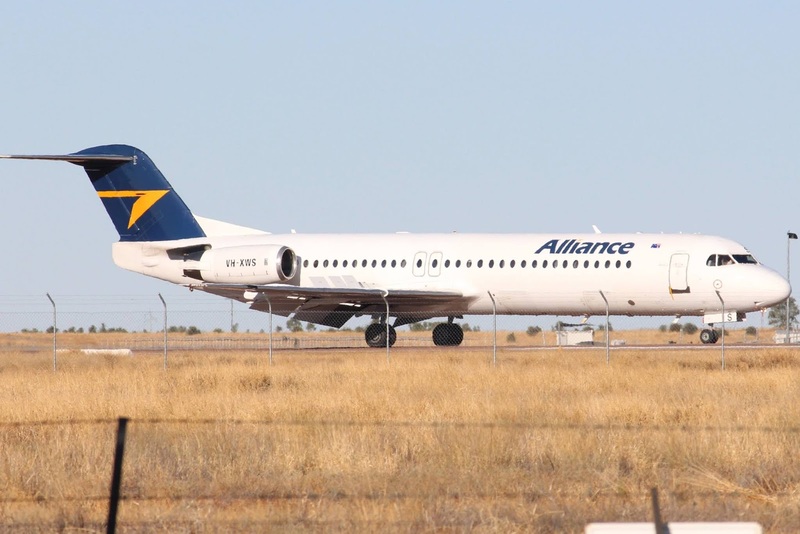 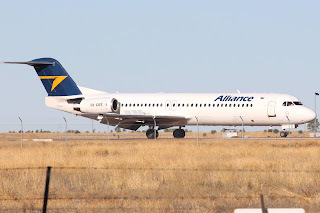 On Monday 16 July, Alliance Airlines most recently delivered Fokker F-100 VH-UQC made its first and rather unexpected first visit into Central Queensland when it was forced to make an emergency landing into Longreach Airport with what has been reported to be a failure of one of the engines. 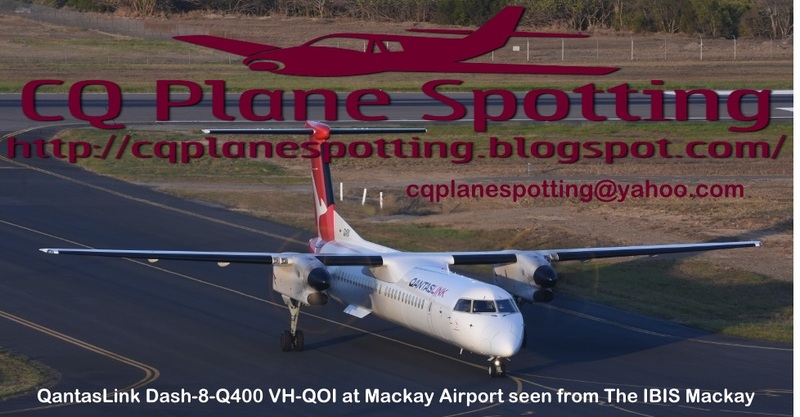 VH-UQC was operating as UTY2700 from Brisbane to Mount Isa, flying the route on behalf of QantasLink - Qantas Airways. 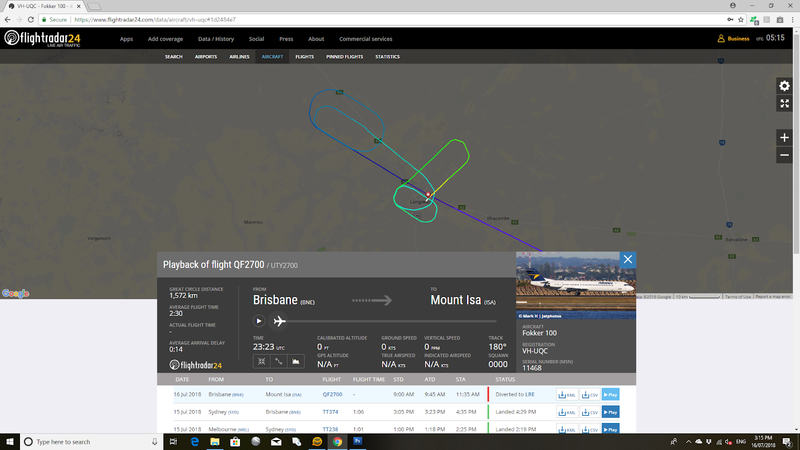 As shown, it circled over Longreach for some time before eventually making an approach and landing. The Fokker was met at Longreach Airport by emergency services after the crew completed a textbook landing. Passengers continued their journey to Mount Isa some hours later with fellow Alliance Airlines Fokker F-100 VH-XWS positioning empty into Longreach Airport from Townsville as UTY997. VH-XWS later continued to Mount Isa as UTY2700. At the time of writing, VH-UQC remains parked at Longreach Airport with one report suggesting that it is grounded pending repairs from Alliance Airlines engineers. 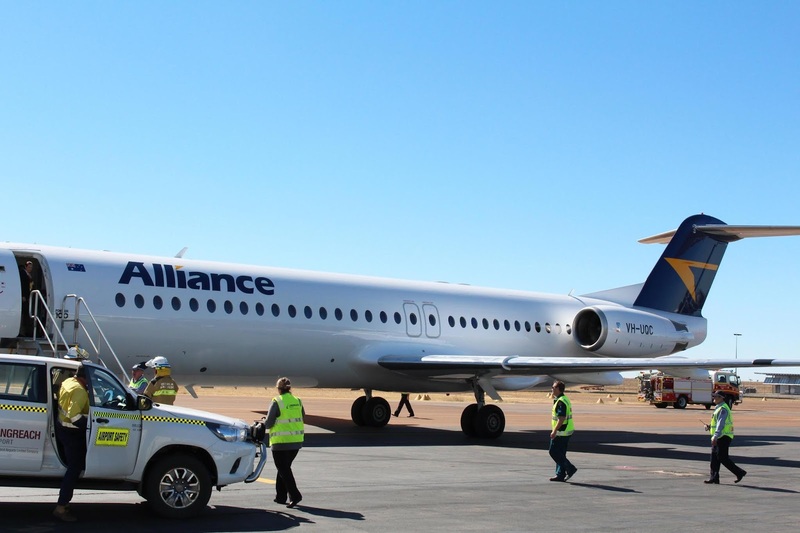 Of interest, Alliance Airlines also flys from Brisbane to Mount Isa also on behalf of Virgin Australia Airlines. Finally, Fokker F-100 VH-UQC was delivered to Alliance Airlines at Brisbane on Friday 29 June after it completed the final legs of its delivery flight from Europe via Kupang and Townsville. 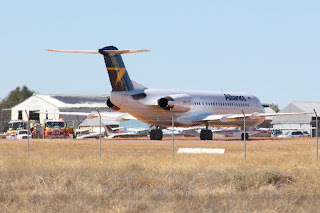 It entered service last Tuesday 10 July by completing a Fly-in Fly-out (FIFO) closed charter flight from Brisbane to Alice Springs and The Granites and back. VH-UQC was registered to the airline in February 2018 and previously operated as OE-LVI with Austrian Airlines since 2005. 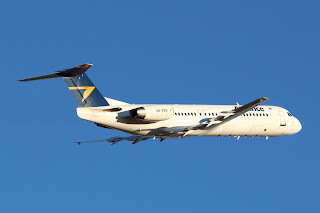 Sincere thanks to local plane spotter Greg W for taking the time to capture and send through these great photos!